Click here for the sound track. Middle Kingdom ruled by emperors and dynasties. At the time of Abraham, Xia people ruled the land. Cast in bronze and plowed the ground and wove their cloth from silk unwound. After Xia came the Shang. 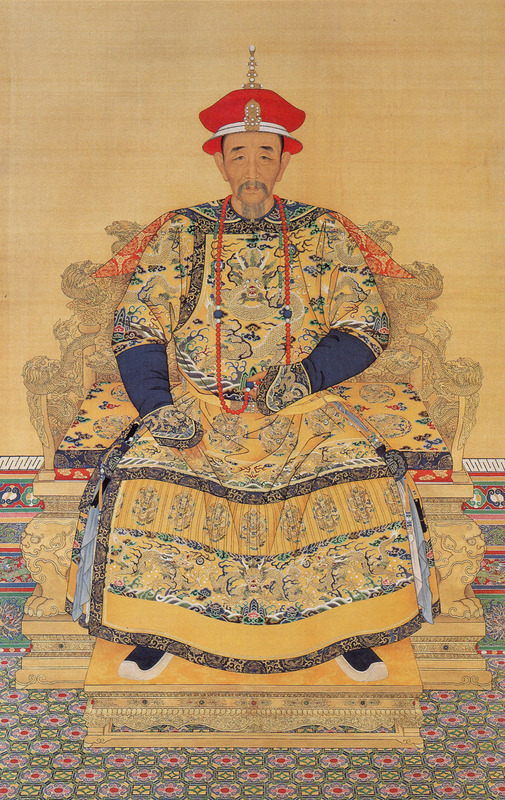 Their first king was King Cheng Tang. In their chariots Shang went out, and to their grannies were devout. Xia, Shang and then the Zhou– Confucious, Buddha and King Wu. Then in 221 BC, came emperor Qin Shi Huang-di. He built the Wall, then did decay with an army made of clay. While the Romans ruled the West, the Han their Sons of Heaven blessed. Merchants trod the long Silk Road and into China commerce flowed. While Europe had their Ages Dark, the great Han Empire fell apart. Hard to count those dynasties– some say six, others three. Hail, the Sui Dynasty– the Grand Canal, their legacy. Goodbye, Tang, in 906; chaos ruled their politics. In this time the wars got louder; in their fights they used gun powder. After chaos came the Sung; brought ten kingdoms back to one. Sung had peace three hundred years, though at the end had Mongol fears. Sure enough, the Mongols came, eighty years the Khans did reign. A Han revolt changed everything, and brought the Golden Age of Ming. The Mind made vases blue and white, until the Manchus came in sight. In sixteen hundred forty-four, the kingdom from the Mings they tore. Qing Manchu were scared of change. Modern life seemed very strange. The dynasties we now must shelve; their story ends in 1912. No longer ruled by emperor or dynasty. An epilogue, if you insist: China now is Communist. Led at first by Dr. Sun, then Chiang Kai-shek and Mao Tse-tung. ** This reference is to compare what was happening in China to contemporary events that many children are familiar with– the Bible stories that feature David and Daniel.